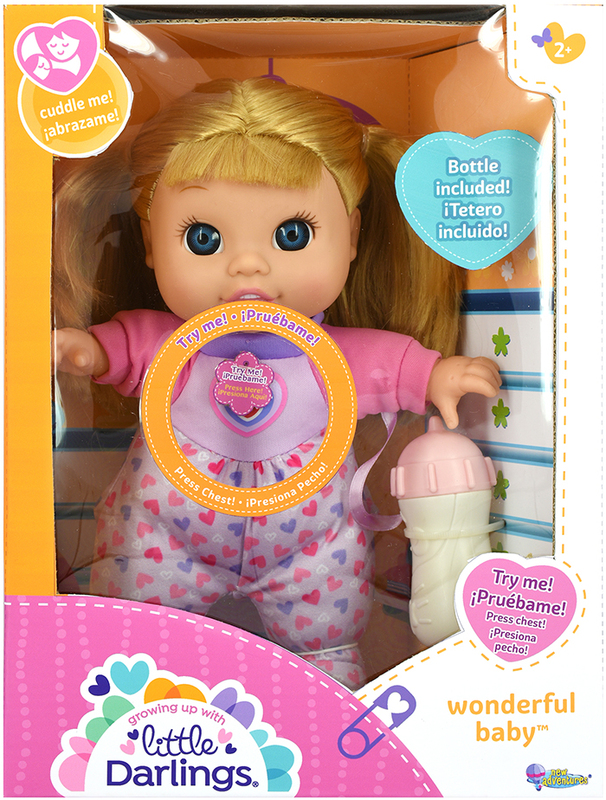 Press the baby’s chest to hear her cry, giggle and drink! 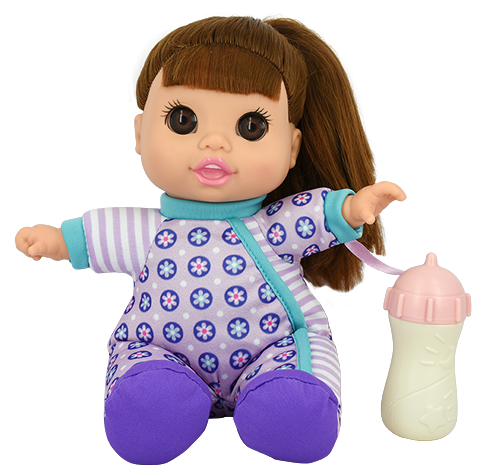 A 12” baby doll that is SO soft and loveable, collect both styles! Baby bottle included.